In January, the Diamond Frogs began their move to take over the Xihe system, previously held by a player faction known as Space Poultry. Space Poultry was placed in the Xihe system as system controllers with the second or third wave of player factions, and since then had done little to work with the system or grow as a player faction. Player factions were first added to the game in August and September 2015 by groups making their request to Frontier, with Space Poultry being added later that year. Diamond Frogs had historically considered Xihe part of their native space, one of the critical systems in the Goat-Xihe Cluster. The Diamond Frogs first arrived in Xihe in November, but little was done with the system over the Christmas holiday. It was then that the Frogs began making their move, first fighting a war to establish ourselves in Langford Survey, a planetary base, and then working diligently to drive Space Poultry’s control of the system down. This was not an easy fight, as a constant stream of bounty hunters in the bountiful resource extraction sites near Xihe 2 — as well as trade of the rare good, Xihe Biomorphic Companions, needed for an engineer unlock — kept constant upward pressure on Space Poultry. Nevertheless, in a tense two week period, our background simulation specialists managed to arrange a one-two punch that secured Diamond Frogs in Elite history as the first player faction to take over a system from another player faction. By first forcing Space Poultry into a war for system control with NPC faction Xihe Free, we were able to stop them from benefiting from the white noise of trade and bounty hunting. This created an opportunity for us to push for our own war with Xihe Free a week later. In both wars, Frogs came out swinging, generating over 2 Billion Credits in the first war, and another 400 million in the second war, the latter with no missions available. This represents an incredible amount of earnings, with the average profit per killed ship in conflict zones being around 35,000 credits. 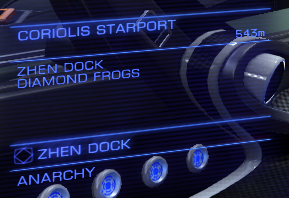 On the average, Diamond Frog pilots earned a mean of 10 million credits each, and both wars generated over 100 million credits in bonds alone per day, averaging more than 3,000 killed ships daily. The first war was also unique in that it was the first time Diamond Frogs have had to fight two wars simultaneously in the same system. At the same time as Xihe Free matched influence with Space Poultry and initiated a war for Zhen Dock, the system control station, Diamond Frogs also were matched into a war with Xihe Energy, an NPC faction which threatened to take Langford Survey. In both cases the opposition parties were hammered to less than 2% influence through the sheer mass of Diamond Frog activity in the conflict zones. Over 50 Diamond Frog pilots reported bonds and missions, and countless more Frog pilots who kneel to no authority operated without reporting in. Diamond Frogs have now secured their place in the history of organizational PvP for the second time. Some years ago, Diamond Frogs became the first player organization to strip control of a home system from a so-called “Triple Elite” organization – Emperor’s Grace – in what amounted to the end of a long-standing feud. While other organizations have lost their home systems to enemy actions, never before has an organization had their system taken away by another player faction. Usually, such attacks are done through NPC player factions, due to the difficulty and time involved in navigating faction expansions from system to system. The prolonged path to expansion, taking many months, and then the three month engineering of a direct system takeover marks another “first” notch in the belt of the Diamond Frogs. 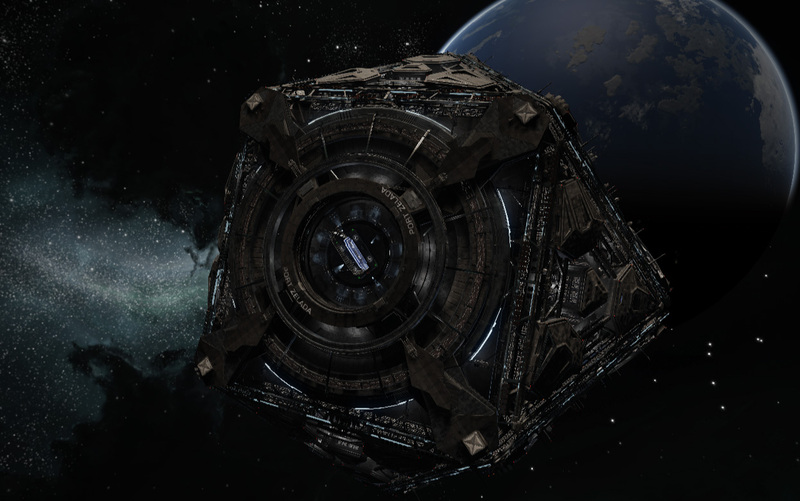 A Coriolis station in Elite Dangerous, the same type as Zhen Dock. The operation was capstoned with a beautiful display. During the transition of Zhen Dock from Space Poultry to Xihe Free control, one of our pilots saw that the station seemed to change controller in-instance during the simulator “tick.” Not wanting to miss an opportunity, Diamond Frog pilots gathered outside Zhen Dock at the BGS tick and were rewarded by seeing Zhen Dock transition from Xihe Free to Diamond Frog control, immediately opening fire on the police and NPCs around the station, as well as anyone foolish enough to have become hostile to Diamond Frogs. Prior to Diamond Frog arrival, Space Poultry’s influence had never dropped below 60% in their year of existence, due to the passive background activity of bounty hunting and trade. It now sits comfortably in the single digits. The Xihe system has dramatically improved since the Frogs took over, with our anarcho-syndicalist ideals promoting a peaceful system without the wanton murder of criminals, and without a need for police or unnecessary laws abridging the freedom of the inhabitants. Thanks to the steady trading traffic as well as the stability and prosperity of the Diamond Frogs, Xihe Biomorphic Companions are selling in batches significantly larger than they did under Space Poultry whenever the Frogs’ economy is in Boom, which happens frequently. Overall, this long-term operation resulted in great benefits for the Diamond Frogs, as well as emergent gameplay opportunities for numerous players who dedicated themselves first to the Poultry cause, and then to simply trying to stop the Frogs as we expropriate the wealth from the Biomorphic Companion trade and liberate systems surrounding Mother Goat. The whole campaign represents Elite at its finest, providing struggle through both the background simulator as well as through direct PVP. Frequent encounters with hostile players demonstrated that instancing, once questionably reliable at best has drastically improved. 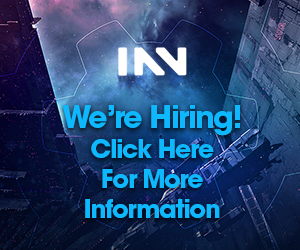 We can only hope that Frontier sees this and considers providing more opportunities and methods for player factions to interact, and more meaningful ways for players to affiliate with their factions and connect themselves into the stories that we are all writing in the Elite galaxy. Would it be possible to have an article about the differences between sov mechanics in ED and EVE and some discussion of what they could learn from each other? I think sov is a very interesting subject because there are a lot of conflicting interests at work. Defenders want it to be as hard as possible to take a system, attackers want it to be as easy as possible. I think if taking systems is hard then you end up with really rewarding wars which are a heroic struggle (it sounds like this was one such war). However what it means, in the long run, is sov tends to get frozen into a few big groups control. If sov is easy to take people just complain a lot about how much work it is trying to hold on to it and taking it doesn’t really feel heroic or important. I’m not really sure how you balance these things out. This is a really good idea. I’ve asked Para if he’s interested in something like this! Man, makes me miss the days of early diamond dogs. CMDR TwatHammer reporting in. i still have all those anacondas i made in the first week of playing. My congratulations to the Diamond Frogs and their amazing efforts in a game first. 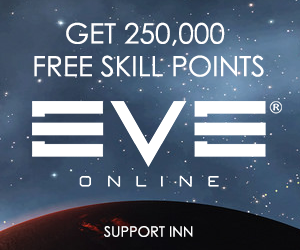 It’s really something what’s been accomplished given how indirect the competition is in Elite. Those police must have been really surprised when their own station opened fire on them, ha ha.